The arrival of the new Renault Twingo GT next week has enthusiasts of small, fun hatchbacks mouths' watering. The combination of more power and a rear-engined, rear-wheel-drive powertrain is an exciting one, and we will, of course, be bringing you our full first drive of the new car as soon as we’ve slipped behind the wheel. You don’t have to wait for the GT to arrive in showrooms to partake of a fun, pocket-sized hatchback with a Renault badge on it, though. The previous-generation Twingo Renault Sport has shed a huge amount of its value and now looks like a terrific bargain as a used buy. It doesn’t have the market all to itself, mind you. 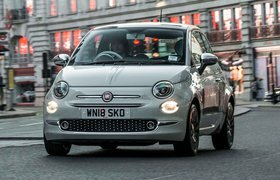 Fiat 500's Abarth has made a name for itself as the fashionable hot hatch of choice, with looks that successfully juxtapose cuddliness with aggression and the promise of plenty of power from a 1.4-litre turbo engine. 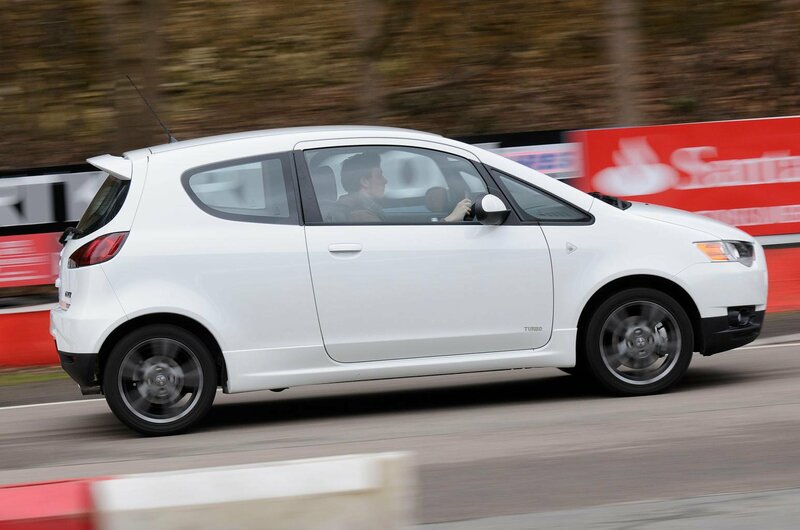 Ballistic performance is on offer from higher-performance versions, but here we’re sampling the simplest Abarth, with a 133bhp engine that lines up neatly against the Twingo’s 131bhp unit. There is one more contender to consider, though, and it’s one you probably haven’t heard of. The Mitsubishi Colt Ralliart was launched at around the same time as the 500, yet its fame is a fraction of its Italian rival’s. That’s probably because it wasn’t much to look at, but the 147bhp on offer from its 1.5-litre turbo engine means you write it off at your peril. Any hot hatch, even a fun-sized one like these three, should give you a hefty kick in the pants every time you prod the throttle. The Colt gives you the biggest shoeing, thanks to its turbocharged 1.5-litre engine. It’s quick to deliver its power, flying out of the blocks faster than a scalded Usain Bolt, and it doesn’t stop sprinting until it hits 125mph. The 500 makes do with a little less power, but when you press its dashboard-mounted Sport button it has almost as much pull as the Colt. True, the 500 doesn’t get off the line as cleanly because its front wheels scrabble for tractio. But once up and running, acceleration feels just as eager, although an inaccurate gearshift can scupper your progress. The Twingo’s engine has no turbocharger, so despite having the largest capacity here, at 1.6 litres, it’s down on power and pull. It needs lots of revs to get going, too, so it’s less flexible than the others. At high revs, though, there’s easily enough pace to keep you smiling. If you really want to make the Twingo come alive, stick it on a winding road. The Cup’s lowered, stiffened suspension means corners are tackled with virtually zero body lean, and it darts from corner to corner crisply and precisely. The steering is quick, accurate and full of feel – push the front tyres beyond their lofty limits and you’ll know instantly. 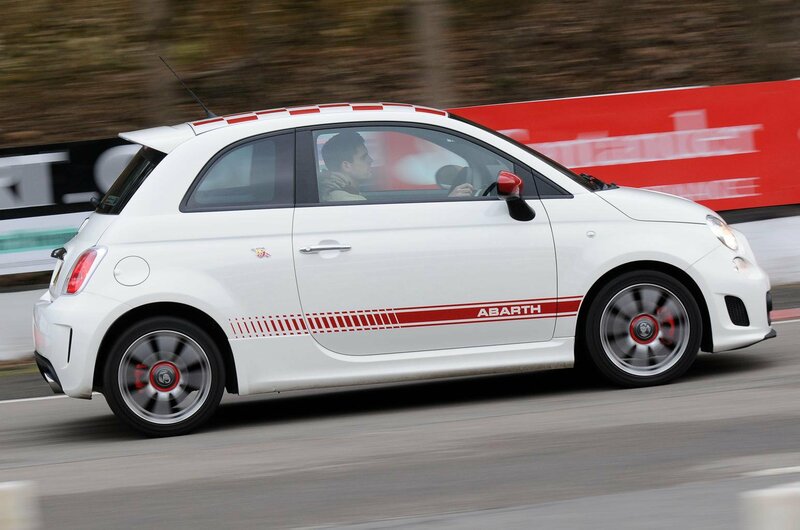 There’s plenty of fun to be had in the 500, too. It behaves predictably in corners, and although the steering is short of feedback it gets weightier in Sport mode. Even so, the 500 lacks the agility and composure of the Twingo. The Colt’s handling is even further adrift. Even though the suspension is tuned to reduce body roll, it still lurches around more than the others. The steering feels odd, too, because the weighting is inconsistent. All three stiffly-sprung contenders jostle you around. 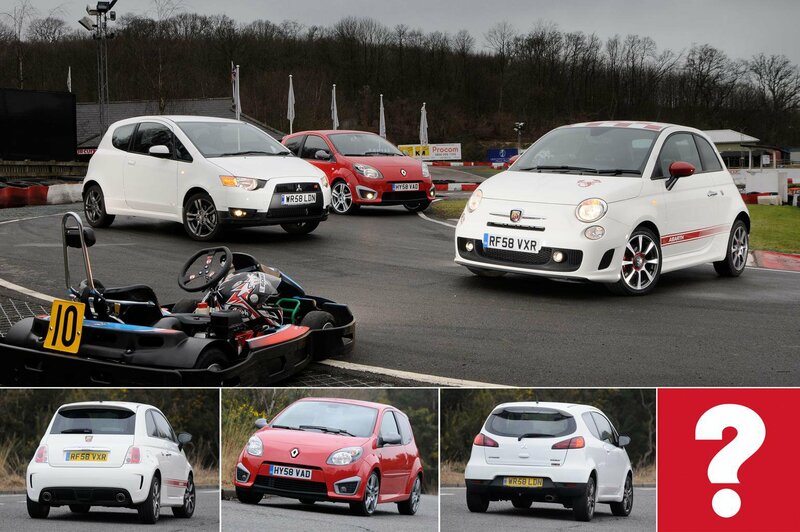 The Colt is the most forgiving, while the Twingo’s ride has the sharpest edge. 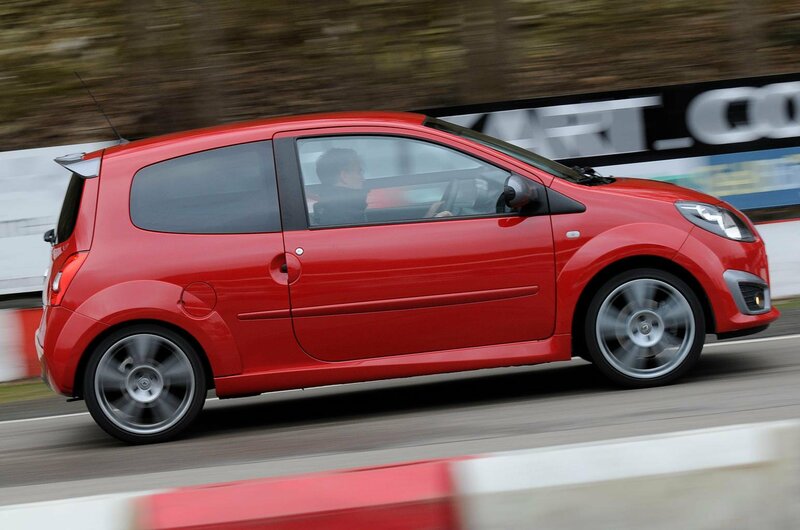 The Twingo is the noisiest, with that rev-hungry engine. Still, none of these cars is so loud that your eardrums beg for mercy, so just crank up the tunes and ignore it.